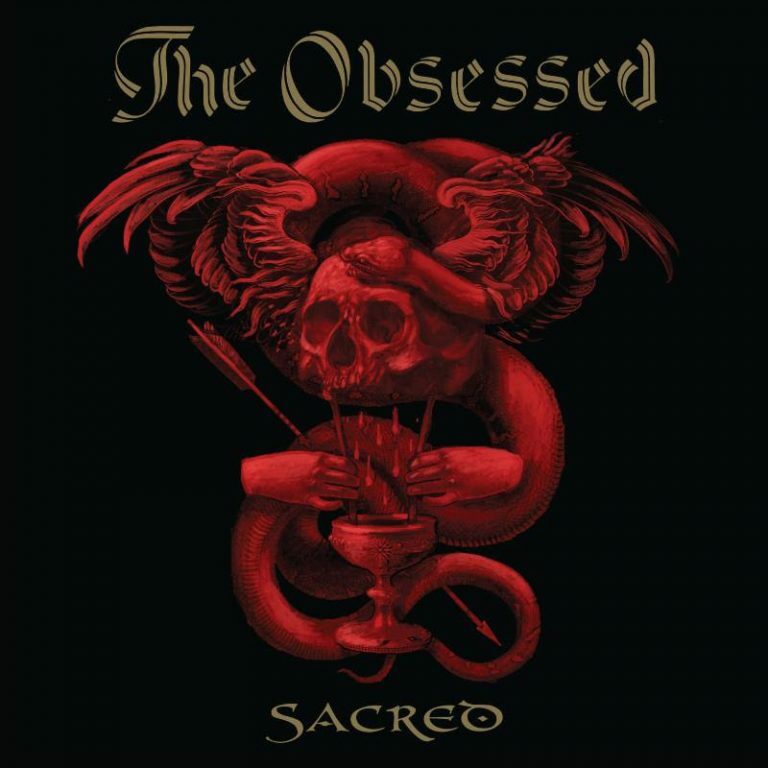 Today, April 7th 2017, marks a monumental occasion for nerds and worshippers of all things heavy music, as Maryland doom legends The Obsessed have released ‘Sacred’, their first full-length release in over 20 years, via Relapse Records. The band is now gearing up for a full North American tour, and will take themselves to pastures beyond in the coming months and years. This is no one-off reunion for some festival gig, this is The Obsessed, back in all its glory, with a record that stays true to form but sounds relevant to the modern day. 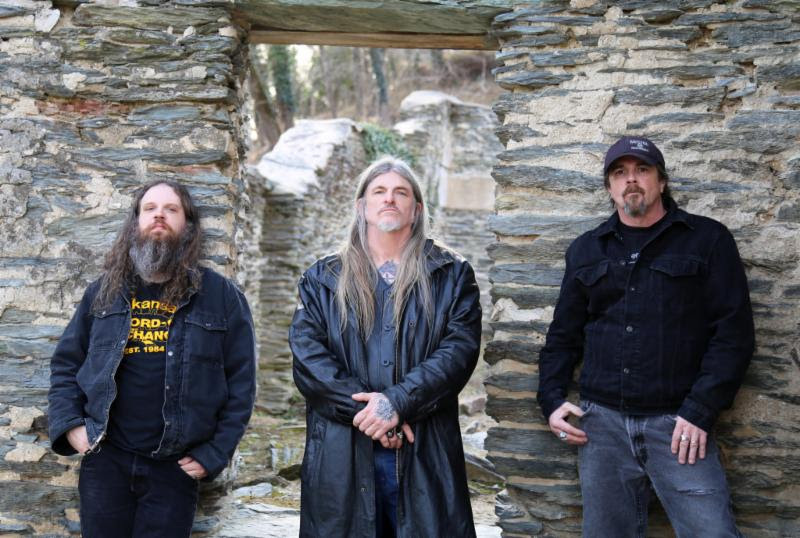 Frontman Scott “Wino” Weinrich talked to Metal Assault recently to discuss in detail the inner workings behind the creation of the album, and lots more. Enjoy the conversation below, get a taste of ‘Sacred’ and catch The Obsessed on tour! Wino, it’s great to have you again on Metal Assault, man. Obviously, The Obsessed is back in full swing and releasing a new album for the first time in a very long time. It must have been in the making for a while. How did it finally come to completion and release? Well, we had put Spirit Caravan back together for a while and we were just touring, and one of our old friends and one of the people who used to work with us back in the day, Brian Constantino, he was the Spirit Caravan drummer’s last tech. So, the way it worked out was, the wheels were coming off the wagons with Spirit Caravan, and then me and Brian reconnected after 30 years. In that interim, he had learnt to play drums pretty proficiently. So, that was the kind of spark, really, because I had been asked for The Obsessed reunions and we had done a couple, but I wasn’t really feeling it until me and Brian reconnected. After we had our first jam, we realized we had something special going on and just completely felt re-inspired and re-energized. So we put the band back together, and shortly thereafter we got offered this record deal from Relapse. We had about 6 or 7 songs written, and the rest we had to put together. I would say we had to dig pretty deep for this record. The first thing I wanted to do was to resurrect the song ‘Sodden Jackal’ and re-record it, because that was The Obsessed’s first single in the ’80s but it was actually recorded very poorly. I think it’s a good song and a timeless tune, so I wanted to do it justice and we did that. ‘Cold Blood’, the only instrumental on the record, is also a very, very old song. I wrote that when I was 17 years old and I had it in my pocket this entire time. But we whipped it out and it seemed like everything in it stood perfectly. I’ve been kind of surprised that people have been mentioning that song as something they like. But yeah, we had a lot of pressure on us for this record, but it was good pressure, and Brian, and Dave Sherman who played bass on this record, I think they rose to the occasion and I’m really proud of the record. And as you mentioned, you were being asked to do The Obsessed reunion shows, probably by festival promoters and things like that, and you did a couple of shows here and there. Was it hard to say yes to those? I’m sure you were offered good money but the band wasn’t really doing anything actively, so it must have been hard to do those shows, right? You know, The Obsessed has always been my baby, my band, my main love and the first thing I ever did. So, I wanted to do it but the chemistry in the band just never really felt right. We did the first The Obsessed reunion at Roadburn, and I knew that it was cool and it was a big deal, but at the same time I also knew that I wouldn’t be able to tour and it needed to be a one-off thing. It was a little bit strange, you know. It never felt a 100 percent right. But right now, with Brian and Reid Raley (bass), the chemistry is so good, it’s really what I needed to be able to feel completely re-energized. I should probably clear up any confusion about the lineup, if you don’t mind .. I was going to ask you about that. So yes, I am glad you’re doing it on your own. Please go ahead! OK, so basically we recorded the album ‘Sacred’ with Dave Sherman playing bass. It was me, Brian Constantino, and Dave. For one reason or another, in the studio and also live, we had a few issues, so we decided to part ways with Dave. So, basically the three of us made the record and after it was finished, Dave was no longer in the band. So I recruited Bruce Falkinburg was was the original bass player for The Hidden Hand, and my friend Sara Seraphim to play second guitar. We did 4-5 shows and it was pretty cool, but once the real touring commitment came into play, people showed their true colors pretty quick. Bruce asked us to replace him, and then Sara left. So, basically then I called my old friend Reid Raley. He was with me in 2013 when The Obsessed did Maryland Deathfest and we also did some Scion shows around that time in LA and stuff. We should have had him in the band in the first place because he’s really the man, he brought the focus back when needed, and now we’ve got a kickass band. I think this is the best lineup The Obsessed has ever had and I feel completely inspired. Thank you for clearing that up. There was a big news story that The Obsessed had become a four-piece, and it was surprising to a lot of people. Are you glad that it is back to being a classic power trio, as it’s always supposed to be? As the saying goes, all things happen for a reason, and I guess that’s true! it was a process and it sorted itself out. I’ll have to say, it hasn’t been the easiest couple of months, personally too, but you know what, things ended up working out to a place right now where I’m completely happy. That’s great to hear. So now the band is going to be very active. There is a North American tour coming up. So, this band is back on full time, isn’t it? Yeah! We’re going to start touring on the 12th of April, shortly after the record comes out. We have a listening party in Philadelphia on April 8th and I’m going to play a little bit of acoustic guitar. Then after that we take off! We’re going to be a pretty extensive U.S. tour, to the West Coast and back, and then we’ve got plans for the U.K., Australia and Europe. As soon as we get my visa stuff squared away, we’ll be back in those parts. So, we’re going to be touring our asses off, that’s for sure. That’s awesome, man. Obviously you’ve been around in the scene in other bands for the whole time, and now The Obsessed is fully back. How do you compare this industry climate as compared to when ‘The Church Within’ came out more than 20 years ago? Man, it seemed like the timing was never been right for The Obsessed, really (laughs). But it feels like it’s all lining up right now. I can’t really explain it, but I can just say that right now all the stars are aligned. The label is fantastic, everybody at Relapse is behind us 100 percent, the band chemistry is amazing, and we’ve got some newer songs (not on ‘Sacred’) already in the can that we’re thinking about recording with Reid. So, it just seems like the timing is right, man. The important thing right now is to get out there and bring the music to the people and that’s what we’re going to do. The whole stoner doom genre is doing really well right now, and I think you’re one of the originators of that. Do you see The Obsessed’s influence in it, and do you think the genre has evolved to where people are finally getting it? That’s crazy, but you’re right, and nowadays you also have more freedom of expression in that sense. Not a lot of stuff gets censored on YouTube, so you can do anything. I think it’s pretty amazing. Times have changed, and things have changed so radically from ’93, when ‘The Church Within’ came out and being on Columbia Records, getting a few cents for every dollar the record made and having being picked up in black town cars and zimbo around town, when I knew in my heart that unless we got a hit, it wasn’t going to last. These days are a lot more D.I.Y., and that’s the way it should be. Throughout my career, people have always asked me if they could tape our shows, and I always told them, no I don’t mind at all as long as I get a copy. It might be 20 years later, but some kid would come up to me and go, here’s a copy, man! The bottom line is, that’s how it’s done. I’ve always been more about power to the people (laughs). That’s very true. Well, when you play shows these days I’m sure you’re also seeing a lot of newer audiences, the younger generation that was probably not even born when the band was first starting. That must also inspire you, to not be playing to just the same crowd and people from the early days that are old now. Oh man, I’m totally honored to see that. For younger people to be into the music, it’s amazing. I’ve been treated very respectfully by my peers and by people over the last couple of years, people that have cited me as an influence, and the whole “Godfather of Doom” thing. I totally appreciate it and I feel completely honored, but I can’t dwell on those accolades. It’s really about the music. For me, the music has to talk. Talking of the music, obviously the songwriting is important but I think in this genre in particular, the sound itself is also important, what tones you use, what gear, production, and that type of thing. In that sense, have you changed your approach at all over the years? That’s a really good point. The bottom line is, I have super high standards, for myself and for the listener. I think personally, ‘Sacred’ is the best sounding record I’ve ever done. We were really lucky to have Frank Marchand and his incredible abilities. Bt I will say, when we recorded ‘The Church Within’ in ’93, that was all analog tape. Now, ‘Sacred’ is all digital, but it sounds so fat because we used the combination of old vintage guitars, drums and effects with a completely modern digital recording venue. So, it’s pretty interesting. I’ll tell you what, I will never let anything out of my hands that I don’t consider to be top-notch, because the people deserve it. I’m sure people will be looking forward to listening to the whole album, April 7th. I think that’s pretty much all I had for this interview. It was good talking to you, and we’ll see you out on the road soon! I really enjoyed it, thank you very much! If you like what you’ve read, buy a shirt and help keep Metal Assault running full time!